In this day and age, the latest trends in housework and home improvement all revolve around do-it-yourself projects and ways to make your own home-made cleaners. We agree that cleaning at home is convenient, but we’d like to offer a warning against some store-bought cleaners. 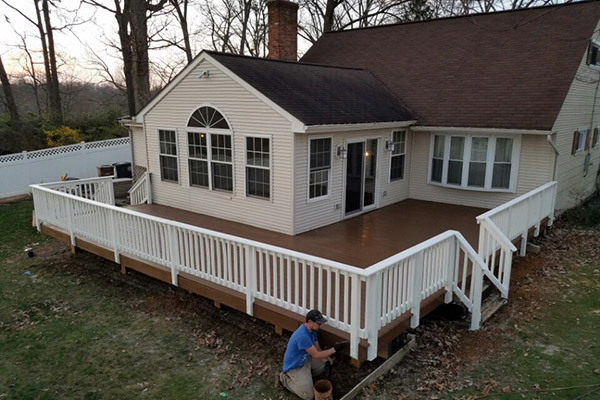 In our many years of experience and expertise, we’ve found that these cleaners can actually work against the protection of your wood by stripping away the finish and eating away chunks of your deck or fence over time. 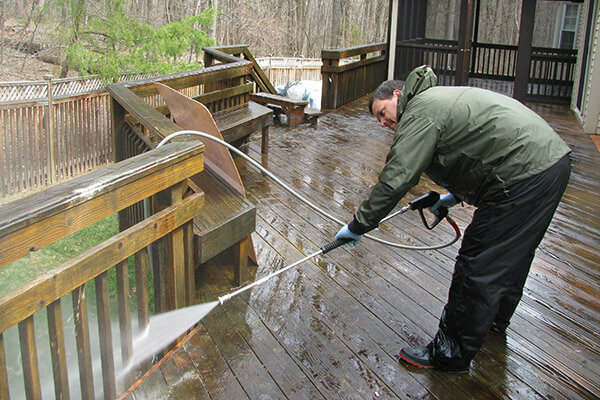 Our PressureLess™ Cleaning System & Preservation System is a non-toxic, biodegradable, safe cleaning solution that is applied to your deck in a high volume mist sprayer. Rather than relying on pressure, we rely on our patented chemical process to remove old stains and sealers and restore the like-new appearance of the wood. It won’t cause cracking or splintering and even slows the growth of mildew. However, if you prefer to tackle your deck cleaning by going the DIY route, then there are plenty of options available to make your own cleaning solution at home. This allows you to have control over what products and ingredients are used in the cleaner and gives you some flexibility when it comes to costs associated with maintaining your deck or fence. 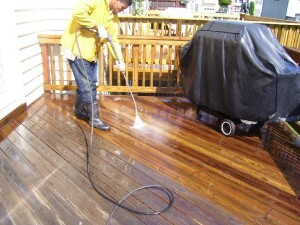 To give you some background, most of the recipes for DIY cleaning solutions for your deck or fence that you’ll find online are composed of some combination of the following ingredients: warm water, bleach, and then dish soap or trisodium phosphate. 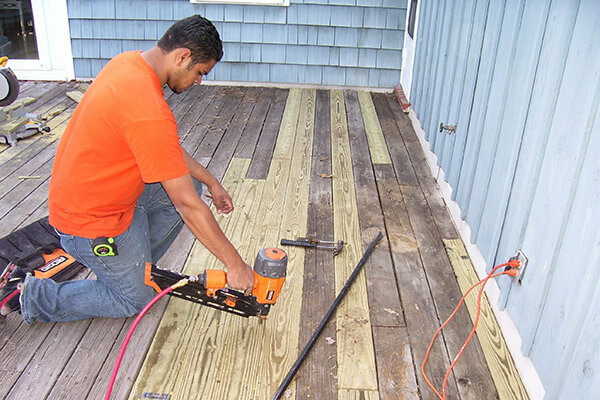 This variation of ingredients allows you some freedom when testing out the solutions to see which work best on your deck/fence and which you can make immediately with the ingredients you have in your home.